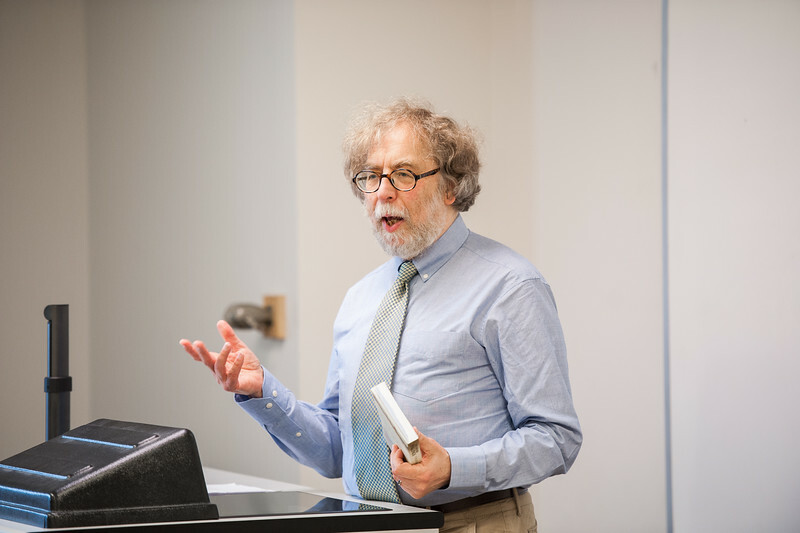 Colin Duriez, British scholar and author specializing in the historic accounts and secondary worlds of the Oxford Inklings, J.K. Rowling, Charles Williams and the like, visited Belmont to speak to students at multiple events on campus. Duriez presented his lecture, “The Secondary Worlds of J.R.R. Tolkien, C.S. Lewis and J.K. Rowling: Imagination and Reality,” on Tuesday evening and followed it with other events including a chapel service and several classes. One of Director of the Honors Program and Professor Dr. Jonathan Thorndike’s classes was able to interact with Duriez and deepen their understanding of the class textbook, his book, “The Oxford Inklings.” Duriez walked through some of the letters and diary entries from the book to present a chronological picture to the class, tying the writings to important dates in history during World War II. “What I am trying to do is give you a picture of particularity of the meetings [of the Inklings] and the individuality of the members,” said Duriez, in order to present less of a theoretical knowledge of who the group was and more of an experience with the words on the page, which are quite substantial. To read more about Duriez and his works, click here.